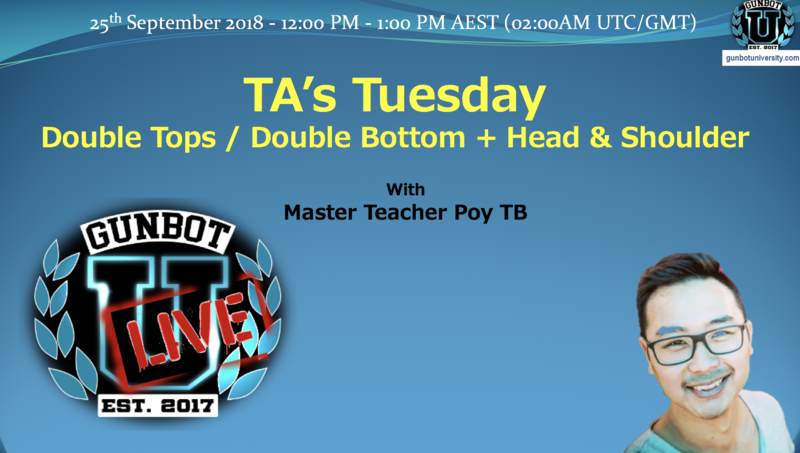 Continue reading "RECORDING: GBU LIVE: Double Tops / Double Bottoms + Head & Shoulders"
Continue reading "RECORDING: Oh no! 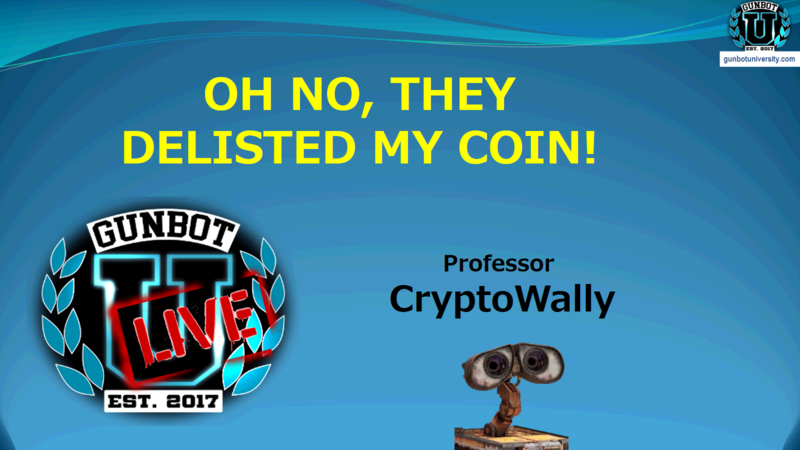 They Delisted My Coin! 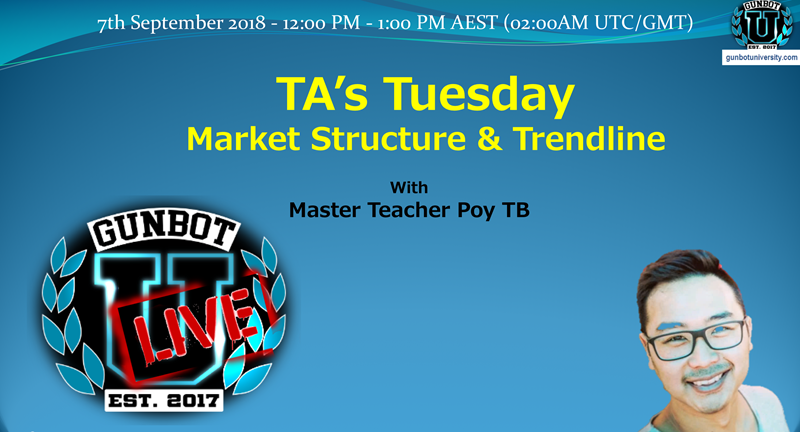 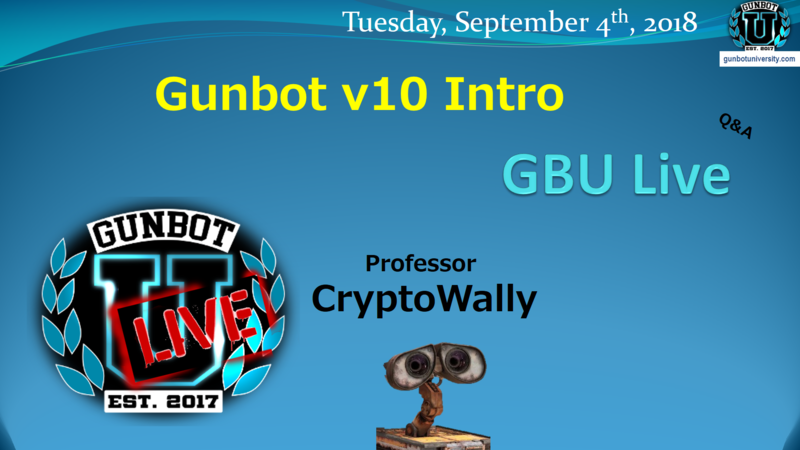 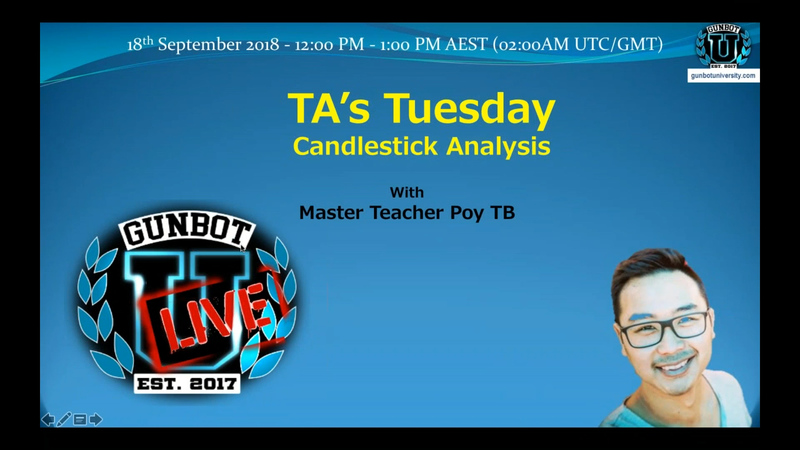 2018-09-20"
Continue reading "RECORDING GBULIVE: TA Tuesday: Candlestick Analysis with Master Teacher Poy TB 2018-09-18"
Continue reading "RECORDING: GBULIVE Technical Analysis with Poy: Market Structure & Trendlines 2018-09-07"
Continue reading "RECORDING: Gunbot v10 Preview w/Professor CryptoWally 2018-09-04"